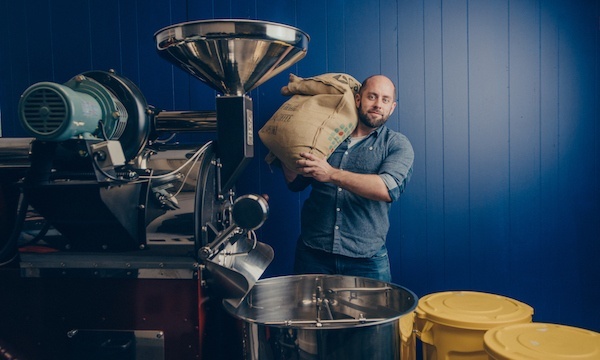 Bob Phibbs interviewed Colby Williams found of Parengo Coffee as he shares why smaller rural retailers are successful, why he chose to not carry a staple in the south, the power of online reviews and more. • Rural is where it is at. • Don't carry anything you can't make money on. • The power online reviews. You can also listen to it on Apple Podcasts, on Google Podcasts and most other podcast platforms. Don't forget to subscribe, comment and like on your favorite podcast platform. Colby: Thanks for having me. Bob: Absolutely. So, tell us a little bit about you and how you got into retail. Colby: I grew up in Salem, Illinois. Really small town, like less than 8,000 people. There's a little coffee shop there. And my friends, like we thought we were the kids on the show "Friends". We would go in there every day, and like sit between the ferns on the big orange couch. And eventually, he let us start working there a little at a time. Bob: I understand that you had blood of the entrepreneur fellowship. Yes? Colby: That's right. In 2015, I won one of the fellowships in the inaugural year, Delta Entrepreneurship Network Fellowship, which they launched that year, and I got it that year. Bob: So, tell me, what was your compelling pitch? Colby: We had already been in business for a little over two years when I went and did that, and everybody else was still in like the startup phase. So, they're seeking funding and looking for partners, or mentors, or something. And I was already doing it every day, so when I got up to pitch, actually, I found out about the pitch competition from a business advisor in Southeast Missouri. He called me up in the afternoon and said, "Hey, are you doing the pitch competition tonight?" And I said, "What's a pitch competition?" And he said, "I thought you were signed up. It's at the casino, you gotta be there in like 20 minutes." And so, I took off and on the way in my car, I called my friend who is a photographer and I asked them to put a slideshow together for me from photos he already had of my business. He dropped it out of his apartment window, and I caught it on the sidewalk. Got back in my car, drove the rest of the way and delivered it. I didn't even know what pictures I was gonna be using. But I can speak to my actual experience of running the coffee shop every day, and actual customer stories, and actually, this worked, and then this didn't work, and here's where I'm going with it. And I think that, you know, they hear a lot of pitches can get formulaic like here's our team, here's our problem, here's our solution. And mine was just like, "Hey, I'm Colby. Here's what I do and I wanna do more of it.."
Bob: So, what was your challenge? A lot of people would say you were nuts to try to open a coffee house when Starbucks is pretty much dominates the category. So why you? Colby: Yeah, well, in Southeast Missouri, when we opened there were only a couple versions of coffee shops over the course of 150 miles in any direction. So, when my parents and I, my parents are in their late 70s, and they got into this business with me, they're still really cute. They walk around the neighborhood holding hands at night, and you know, they still enjoy being alive. So, we got into it, and they're like, they're really awesome people to be around. Everybody would wanna come hang out with them. I'm the one with the experience and there was no other option. So, we had kind of like the corner of the market as long as we executed well, there's nowhere else for people to go, and we didn't really have to worry about a Starbucks because there's not one in my town. Bob: So, what was one of the challenges that you learned in opening a business? What was something that you had to overcome that was not just a little blip? What was kind of major? Did you hire friends and they disappointed you? Did you find that the market ran and wanted to give you money? I mean, what were some of the challenges you had and how did you overcame them? Colby: Well, when it comes to disappointing friends, I think I'm the most disappointing of all of my friends. So, my friends are really great. And I had like some great support system in place. But the biggest challenge I think was I think a lot of entrepreneurs are working with the idea especially in retail. I think this is big in retail. We always wonder, do we always pay attention to the market? And do we change ourselves in our business just to make more sales because this is what the market is telling us today? Or do we follow the path of like the Steve Jobs and stick to our guns even when everybody is telling us we're crazy. Bob: Give me an example of that. Because not anybody...that's a bad example for me. I don't think Steve Jobs works for most other entrepreneurs. It's kind of a, you know, he came up with a product, controlled the environment, the store's everything about it. So, what's an example of something that you...because frankly, to stay in business in a restaurant is pretty hard that first year. So, what does that mean that you persevered even though people were saying you should change? Colby: Yeah, in my location. Everybody, every morning wants biscuits and gravy, and every afternoon they want sweet tea. Those are two categories in which I have stuck to my guns. I've said even though I can make a lot of sales this way, I think that that is not what my brand is, and I think in the long run that would hurt us. Because I know I can't make the best sweet tea in town and that's what they like. But they're only willing to pay 99 cents for a 64 ounce. And in order to get a, you know, good 64-ounce cup, it's probably gotta be styrofoam. You gotta add more shelf space. There's just a lot of stuff that goes along with that. My drink sizes are smaller, we go for more of like the classic European style expressive bar and by sticking to that I got some really, really loyal people, some people who are like, yes, this is what we've always been looking for. Everybody who passes by on the interstate, two interstates pass through or terminate in my town, and we get tons of people off the interstate who are yelping coffee or googling for coffee shops. So, it's like halfway for a lot of people on their little road trip, so they stop and they come to me and they're so glad that we're not just another kind of small towns, sweet tea, and biscuits and gravy type of joint. They want that real coffee shop thing and they're willing to pay a little more when they find out that I do it and I do it really well. Bob: Good. So, you talked about how small towns you think are the next frontier of entrepreneurship. So, why do you think that is? Just from your experience in coffee or...? Colby: A little bit, but even way beyond coffee too. Like, I think scaling right now with the internet, if you have the type of business that doesn't just require people walking in the door and brick and mortar sales, it's easier than ever before. You've got kids that are making $9,000 a month just selling products on Instagram, you know, and so, if you can figure out how to do that or if you're the type of entrepreneur who is looking to do that, or you're looking to build an app, or you're a coder, or a freelance, like no collar workforce type of person, you could go do that or you can launch your company, you can launch your service, you could buy a franchise or something. And you could do that in a large market where your overhead is really, really high. Or you could do that exact same thing now selling to the exact same customers from a small town where your overhead is really low. There's also some skilled workforce in a small town that is more expensive and/or harder to find in a large city. I mean, we have the, you know, people who have spent their whole life working in a factory setting, or in a mine, or, you know, some type of blue-collar job and they know how to weld, they know how to do carpentry. And when they've come on board, you know, in my town when we're able to go find those people and bring them in as like general contracting type work, or for a special project, or I know some other coffee shops who have hired people like that to make custom made mugs with a logo on it just for their shop. These people love those types of creative jobs and they've got the skill set to do it. And, you know, it costs almost nothing compared to my big city competitors who are trying to do the same things. Bob: Well, I think that's the point that you only have to scale to your community, you don't have to end up trying to be, you know, we need to make 50,000 of these before we're gonna make money out of it. That seems to be it and I also have been saying for a while now that I think that we are moving back actually in many ways to the era of the pilgrims where the smaller towns are just like you're saying, are gonna have one person that takes care of the, you know, there's gonna show up when there's gotta be a coffee house, etc. And they may have an online component to it, but they're looking to kind of have that balance I think, which is different than building a brand that has multiple options around it. Does that make sense? Colby: Yeah, I think that's true. The amount you need to be making a profit and living comfortably is so much lower in small town, and the comfortable part of it is really comfortable. I mean, my business is very small and as a young man was able to, you know, buy a home, I have a really cool backyard and I can have my friends over and my family. It's a nice life, you know, and I think there are a lot of people out there who...they're in the grind and maybe they want that someday. Well, I think the message of, you know, that I would like to put out there, and I've written a book about it, is that you can have that life now. You know, that life is attainable and you gotta consider small towns in order to get it. Bob: And what's the name of that book in case I forget it? Colby: The book is called "Small Town, big money." It's about entrepreneurship and opportunity in today's small towns and it will be released in early November. Bob: Okay, let's face it. There's an awful lot of people that do not have a great success story who follow their dreams. So, what do you think some of the things that somebody who wants to be a successful entrepreneur, successful and more importantly profitable? Bob: Well, that's true, but I think also an awful lot of people get into business expecting they're gonna be able to do their regular life and that. So, you know, I just had a kid I'll be able to run my store, I'm gonna be able to keep my full-time job and I'll hire someone to just run this. Bob: An awful lot of people that get into trouble thinking if I build it, they will come. I think what most people don't realize is that there are a lot of events that you don't go to. There's a lot of times you say, I can't go out because I have to work tomorrow and you don't hang around with people that say, "Come on. It's Wednesday night. What's the deal?" Right? So, what do you see is the pluses and minuses someone needs to be thinking about to be successful? Colby: Yeah, you have to be willing to put the work in. And I think we have to have realistic expectations here. This is a lot of work. And it's hard. I mean, there are times when I would put in my full day and then go to our new location to paint for a few hours, and then go back to our original location to roast until two in the morning, just so I could operate the next day. Bob: I think that's the key. You aren't doing it to tell your friends. Reality is there is no one to do it, right? You're juggling a lot of things as an entrepreneur. Colby: Right, it's all you. You wear all the hats. In addition to that, I think that a lot of...in small towns, a lot of people overlook the fact that we need to know the most and be the best in whatever it is we're doing. I think that putting that extra work in to do the research, to stay up whether it's blogs or magazines, or, you know, listening to podcasts and staying up on your own industry. If people can come in your door and they know more about your products or services, then you know that's not a good sign sometimes. Those people could say, well, why wouldn't I just order that on Amazon and do it at home? I already know more than this guy. But if they walk in and you're the expert, then they feel good in your hands. They're like, "Man, I've got a gym here in my town. I'm gonna keep coming here and spend the money. Bob: Yeah, no, I certainly agree with that. I certainly think that you've gotta beat on it. And, you know, it sounds like you're always going, so how do you relax? Bob: Is that what it is? Colby: ...under my cabinet. Yeah. No, I have a lot of good people around me and man, people in retail, especially in coffee shops, but I'm sure that you know in retail experience, there are some funny people who walk in the door and we can get some good laughs. Bob: There are. You said you wrote in your book, I think you probably have some stories. So what kind of a story could you share with us from your book, whether it's a customer story, or something as an example of what you're talking about in your book? Bob: Maybe in nine months, you might see her again. Colby: Or her brothers need to behave themselves. Bob: That's right. That's right. I love that idea that, you know, I think we have a really special place in an awful lot of people's lives that doesn't exist anywhere else. Because when people feel they matter, they buy more and you give them a feeling that they can't get online, they can't get, usually, in their own work, and a lot of times your own family. And when they get that feeling, they respond to it and then we can collect those stories and we end up feeling like, "Hey, I guess I really am doing something more than just selling a widget today." Does that make sense? Colby: Yeah, you can't write a business plan out of that woman's cravings, but just by being there I was able to be a part of whatever was going on with her. Bob: I think that's key. I think that's really key. So, if you were having a friend that was coming to you to say that they wanted to start a new business, what do you think the number one thing that they should have and the number one thing they shouldn't, whether that's in retail or any business in a small town? Colby: I think they should get their expectations in line like we've discussed. Bob: Well, let's go a little further in that. So, what do you think the expectations in line I'm gonna be profitable in two months? Colby: Yeah, the timeline is big especially if they need. I think you can overcome the want part. But if they need to be making money, or they're gonna lose their house or something like that within, you know, 90 days, then they don't have good expectations. And this is maybe not gonna work out. It's gonna lead to some resentment or just crash and burn scenario. Colby: I think they also need their family and friends, their closest people in their lives need to also understand what they're getting into. And so, if they're reading, you know, books, how to start a business, or go into a class, or involved in their local economic support organization or incubator or something. And I think it's probably a good idea for their family, friends, spouse, or significant other to be involved in that process with them. It took me like a lot of begging for help, you know, to get photos, to get help with Instagram or graphic design to make a logo or something like that. And so, like I kind of forced the people in my life to be involved with whatever I'm doing. I'm notorious for that. But for somebody who isn't like that and their friends don't put up with as much annoying stuff as my friends do, that's a tough life for other people to sign up for with you. Bob: That's a good point, but it's also lonely as an entrepreneur. You're the only one that knows what it is and you really don't have the time to go talk to other people. And frankly, talking other people doesn't make you money. And what do you think the upside of that is for an entrepreneur that actually does go through and plan it out, especially in a small town? Bob: Yeah, I think that's a good point. I think that a lot of big stores particularly struggle with coming up with a compelling vision, why somebody should come on board, and why millennials, in particular, can think that they're making a contribution to the world. And, you know, they're doing something to reach out to different communities, or different things other than just being in a call center or something. So, I think that matters too and then probably the same with onboarding employees. Would you agree? Colby: Yeah, just yesterday, one of my very first hires came in to visit with us because she was on the way to her wedding shower, and she's moved off and done other things since she worked for me, but she, you know, every time she's in town, she has to come in because that was such a formative job for her. It turned her into a coffee professional far beyond what we could offer her and that led her into travel and that's how she met her husband. And so, I think that offering a little bit of that, I mean, without being able to define it, there are people applying for a job with us who are looking for that, they're looking for that extension of their family into their workplace, and also a challenge and also they wanna be around the high entrepreneurship energy environment. But they want those relationships to last and I think that they get that over the counter with customers and behind the counter with the ownership team and other employees. I realized lately that I don't go to places as much anymore where the customer is always right even though that's still important. I like to feel like you're right, you're the best, and I wanna get whatever you're offering me, whatever you're putting on the plate or the way you're wrapping up your monthly subscription box, or you know, the fragrances you're offering here and the music you decided to play. I love the whole experience of shopping in a retail environment with an expert at the helm, who's crafting this whole experience for me. I think that's really special. Bob: Yeah, I think that's key crafting that experience for you. And if you think about that, just like the online retailers are thinking about every nanosecond, you're clicking, and watching, and doing, I think brick and mortar absolutely is on a new renaissance across the nation, as people realize that the big box isn't the answer and they somehow feel lonely or going into a lot of places than when they have that experience in a smaller place. Or even some of the bigger franchises and stores where they really train their employees how to create that exceptional experience. They are gaining traction in a world where we were just told last year was gonna be a retail apocalypse. So, I think that's great. And we've come to the end of our time. How can they find out more about you, Colby? Colby: Well, you can always check out parengocoffee.com Follow the shop on Facebook, Instagram or Twitter wherever you get your photos and things. Also, you can be following along at smalltownbook.com as the launch is about to happen. 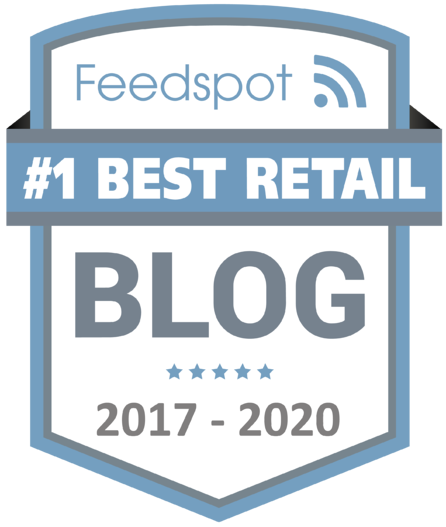 Are you a retail owner, C-Level Executive with a major brand with inspiring stories to tell? Then use the button below and let me know why you would be a good guest for the podcast. 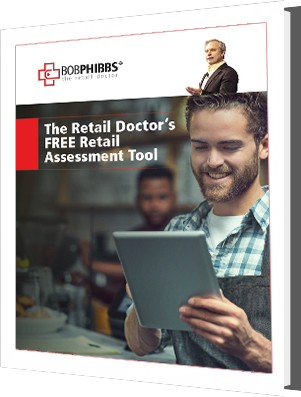 Use this free Retail Assessment Tool to discover where you truly excel in retail, and uncover areas for improvement.